Ald. Cicely Fleming (9th) speaks at a meeting. Fleming spearheaded efforts to update the city’s hiring policy regarding applicants with a criminal record. Aldermen will look to vote on a proposal providing landlords with financial assistance to repair and improve low-income rental units, as well as examine hiring policies for applicants with criminal records, at Monday’s City Council. The rental assistance program, which functions as part of the city’s efforts to increase affordable housing options, would support improvements and repairs for landlords who are committed to rent to households earning 60 percent of area median income, according to city documents. The proposed program budget is $200,000 for the 2018 fiscal year, which is 25 percent of the year’s total uncommitted cash balance in the Affordable Housing Fund. The funding would be provided in the form of a forgivable loan, with a term of the loan ranging from 10 to 20 years depending on its value, according to city documents. The program would provide eligible participants with funding for 50 percent of the project’s costs after their approved work is completed, for up to $50,000. City staff recommends the Housing and Homelessness Commission review applications and send them to a standing committee and then City Council to be approved. Ald. Robin Rue Simmons (5th) told The Daily in January that it is challenging enough for landlords to make improvements and repairs, and that the city should provide money upfront to landlords so that the steps could be completed more quickly. Ald. Cicely Fleming (9th) also suggested in January that the program place a cap on the number of times an owner can apply for funding to make more resources available for more landlords. As proposed currently, there are no stipulations on the number of times an owner can apply for funding. She added that in the context of the discussion about affordable housing, the program is a way for council to get more low-cost units on the market. Also at the meeting, aldermen will discuss adopting a new hiring policy which would consider factors in evaluating how applicants with criminal records would be suitable for employment. 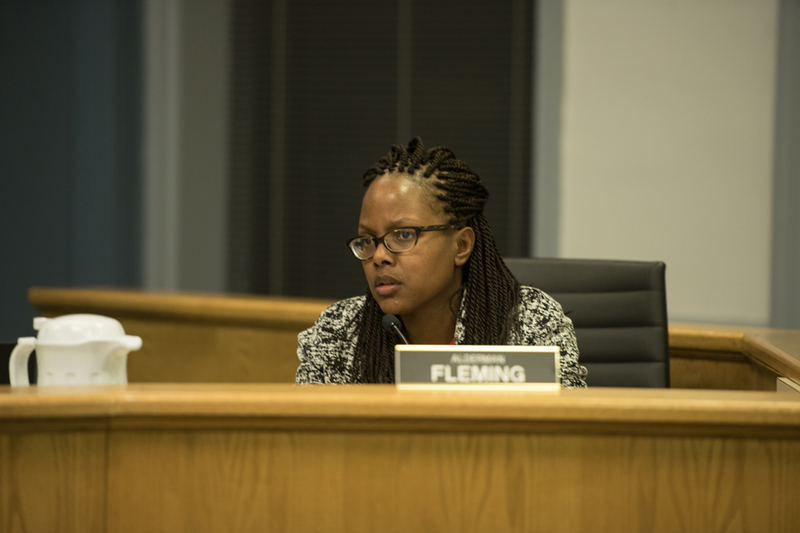 Fleming spearheaded the efforts to update the city’s policy, and city staff met with her and interested community members to gather input on current best practices, according to city documents. If the new hiring policy is adopted, there will no longer exist a lifetime disqualification from city employment for certain felony convictions, according to the documents. There is also an additional opportunity for a “thorough review” of an applicant’s background if they have a rehabilitation certificate or are working with the Youth and Young Adult program. If enacted, the policy would have an effective start date of March 1, 2018.